Applying to college seems like it only happened yesterday, but here you are, preparing to apply for graduate school. 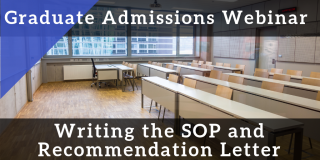 You’ve been through school admissions processes once before, so applying to grad school is not so different. You still have forms to fill out, standardized tests to take, recommendation letters to collect and a personal statement to write. However, since grad school is a transition to careerhood, the stakes are higher, and the requirements are more stringent. Why do you want to study that specific topic? Are you really prepared to study this subject matter at a graduate level? Why do you want to study that topic at THIS particular school? How do you intend to use the knowledge you will have gained in grad school? Ideally, your SOP should flow in this particular order, because this structure provides you with a well-organized story exploring the relationship between your past, present and future and the field you want to devote the rest of your life to. As you address these questions, instead of writing statements, you will weave a story that is all about you and WHO YOU ARE. Does this seem like a daunting task? Don’t worry! The following are some general tips to keep in mind, followed by several essential tips on how to write your story. Skip generalized statements. 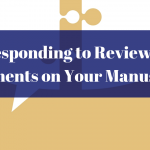 Instead, provide real, specific examples (including quantities) to support your statements. Your attention to detail will help make you more memorable to an admissions officer who has to read hundreds, if not thousands, of essays. What’s the difference between these two sentences? The first says you like something, while the second not only shows that you like something but also shows your level of commitment, experience and desire for challenge. 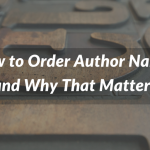 Additionally, the second sentence provides quantitative information that makes your story more believable and authentic. Of the two example sentences, which do you think maximizes your use of words and would be more interesting to admissions officers? Don’t be generic. If someone else can pick up your draft and say, “Hey, that’s about me, too,” then you know something is wrong. Your essay should be unique. You’re trying to distinguish yourself from the others, remember? Watch the word count! Double-check each school’s requirements, but the average word count ranges from roughly 500 to 1000 words. Don’t write a novel or be too short. As you start writing, you’ll soon realize that whatever word count they provide will never be enough to talk about your life. But, wait a minute, that’s the point. You are NOT supposed to write an autobiography cataloging everything in your life. 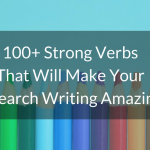 Instead, choosing one or two specific events in your life is all it takes to write a rich and powerful essay. Make those words count! Use formal language (That means no contractions, slang terms or other colloquialisms.) Additionally, keep the tone professional but conversational. Imagine you are talking to your school dean or another administrator. How would you speak to them? Hopefully, you would speak to engage rather than drone on and on. 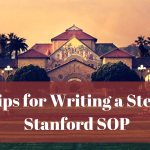 Your SOP should be written like a STORY and not feel like a newspaper article about the latest tax reforms. While we’re on the topic of proper tone and language use, don’t overdo the vocabulary. Your SOP shouldn’t look like an entry from a medical encyclopedia. Superfluous jargon and discourse espousing polysyllabic terminology are farcical at best (See what we just did?). 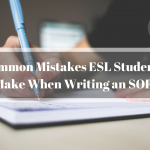 As you draft your SOP, remember how you felt reading that ridiculous sentence. Now imagine you’re an admissions officer having to read the SOP of someone who’s trying too hard. You’d stop reading, right? The opening paragraph: Why this subject matter? Limit your first paragraph to roughly four sentences. Provide details. Quantify some information. Add the random specific details that show you couldn’t have made up this story, even if you tried! However, don’t get too bogged down with details, either. You’ll run out of room for the remainder of your statement! Think of “sprinkling” details rather than “smothering.” Two or three precise descriptions are better than too many or too few. Graduate school requires dedication. Because programs accept a limited number of applicants, schools want people who can demonstrate they will excel in grad school. Do you have what it takes? What coursework have you taken? What extracurricular experiences have prepared you for this endeavor?In answering these questions, don’t catalog what is already on your transcript, resume or CV. Instead, choose two to three specific incidents or bits of information that you gleaned from a course and talk about how acquiring that knowledge shaped who you are and why you want to pursue graduate studies. Don’t rehash what’s on your resume, CV or any other part of your application. Instead, your SOP should supplement the factual information with details that you wouldn’t normally find in a resume. Show that you carefully researched the specific program you want to join. That means, go through their course catalog, research who the faculty members are and any special programs the school and department are proud of (Yup, that’s right, it’s time to coax their egos). Speaking of identifying faculty members, be careful not to name drop in your SOP unless the professor’s work is relevant to YOU. Remember, the SOP is about YOU and not the school, per se. Instead, you could identify specific publications written by faculty members and explain how those papers are closely aligned with the type of work you want to pursue in grad school. Mention your interest in taking two to three specific classes they offer and participating in two or three specific events/special programs that the department coordinates. Don’t just mention the classes by name. Briefly comment on what you hope to gain from them. Review the school’s website and your target department’s site. 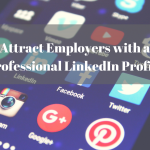 Identify their motto or mission, and mention how those statements align with who you are as a person and what you are looking for in a graduate program. Don’t just repeat the motto or vision statement. While it’s good to use key buzz words, make sure you naturally incorporate the school’s mission statement as it relates to what you are looking for in a school. Imagine that you have graduated from the desired program. What would be your next step? Do you want to enter the private market or work in academia? What would you do with the experiences and assets acquired from the school? 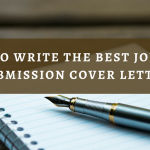 In other words, write about how the substantive and practical information you will have learned, the people you will have met and the experiences you will have gained would help you achieve your life dreams. Don’t leave this part out of your SOP. Even if you aren’t sure what you want to do after you graduate, you should specify something in this last paragraph of your SOP. 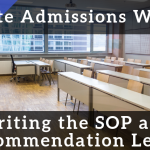 Questions about your future plans are commonly included in an SOP prompt because the school wants to know how serious you are about pursuing studies in grad school. Not many people have the stamina to spend years conducting research without some ultimate goal of wanting to pursue the field professionally. Good luck with the grad school application process! If you have any questions, please feel free to contact us at wordvice.com or e-mail us at edit@wordvice.com! 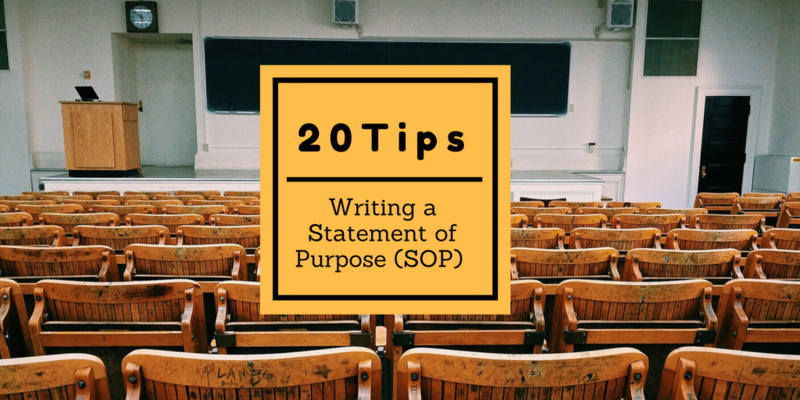 We hope you will carefully think about the tips above as you prepare to write or rewrite your Statement of Purpose. 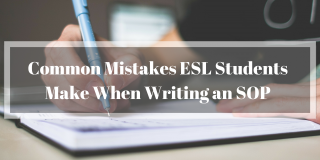 In addition to asking your professors, advisors and other mentors for advice, you can also seek out professional proofreaders like us to help you revise your statement and make it shine! 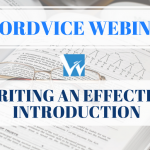 Wordvice provides high-quality English proofreading and editing services.We have helped thousands of researchers, students, writers, and businesses maximize the impact of their writing. 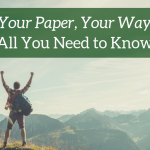 Your Paper, Your Way: All You Need to Know!